In this chapter a referral is made to the most known examination methods and tools for evaluating persons with motor limitations. Since there are many methods and tools, standardized or not, describing each of them by the area of evaluation and forming a quick reference guide seem to be helpful. Furthermore referrals are made to some special evaluation forms regarding special conditions, like stoke, which appear to have multiple problems influencing function. Finally, in the last section of this chapter a referral is made to the International Classification of Functioning, Disability and Health scale (ICF), which has been developed the past few years by the World Health Organization (WHO), in an effort to have and apply a universal way of assessing people with disabilities. This scale aims to give to all the health professional and researchers a “common language” when “measuring” disability and function. When considering people like Dr. Stephen Hawking or the famous actor Christopher Reeve, we realize that thanks to technology for many people around the world things become possible and easier. The dramatic development of technology the last decades gives us a big variety of special electronic and computer based devises, that our patients can use to exercise and improve their physical ability, electronic aids for daily living, powered wheelchairs, environmental control units, augmentative and alternative communication system, etc., enabling them in self care, school, work, leisure and socialization and giving them the chance to keep on, interacting with their environment and having a good quality of life. Human Activity Assistive technology model known as HAAT model introduced by Cook and Hussey (1995). By this emphasis is given to the person, the activity and the assistive technology that will be used in a certain environment. Changes to any of the above, require changes to the selected assistive technology device. Human Environment Technology Interface (HETI) model, developed by R. Smith (Christiansen & Baum, 1991), emphasizes on the way the person uses assistive technology to perform an activity. Depending on the task the person can change his/her motor output in order to produce another outcome through assistive technology device. 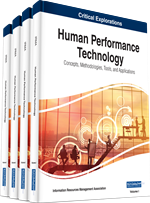 Human Interface Assessment by D.K. Anson (1997) focuses on the skills and abilities of the person and assistive technology is used to build the existing gap between the person and the task due to his/her disabilities. As it is noticed in all models the main factor is human. No matter which model each designer follows, when designing assistive technology products, understanding the limitations that derive from a physical disability is important. It has been proved that the best assistive technology device is the one that increases, maintains or improves the functional ability of a person (Crepeau et al, 2009; Pedretti & Early 2001). Bailey (1989) describes the elements that assistive technology designer has to consider in order to design devices. Paralleling human performance to an engine with input and output he states that the input from the environment through sensors go under certain process in the human body by sensory, perceptual, cognitive and psychological factors in order to achieve the outcome which is motor function. By this description it is easier to understand why, when evaluating people with motor limitation for applying technology, many elements of this “human engine” should be examined. (Cook & Hussey, 2002) Thus human performance is influenced by many factors, which should be considered as well during evaluation. Understanding these factors makes easier to determine the type of the measurements somebody will use. (Herndon, 2006; Wade, 1992). The concept of the whole treatment is to maximize the ability of the patient and to maintain active participation in purposeful activities. (Radomski & Trombly, 2008). Assistive technologies help us to work to this direction with the patient providing him/her a good quality of life (Sherer, 2000). Designing assistive technology devices for people with motor limitations is a very complex task and sometimes involves more than one profession. A clear understanding of the mechanism of the human body - motor and dexterity, is needed and the best way to assure this is the cooperation of the designers with the rehabilitation team, or even better the existence of a special assistive technology team. Through the analysis of the possible limitations a person may have, due to his physical disability, we will try to understand the limitations they have in everyday activities, which most of us, physically unimpaired, take for granted (Pedretti & Early, 2001).